I am not equipped enough to pen a critique on the dance of democracy depicted in Amit Masurkar's Newton. I agree that the sharpness and sarcasm is on point. 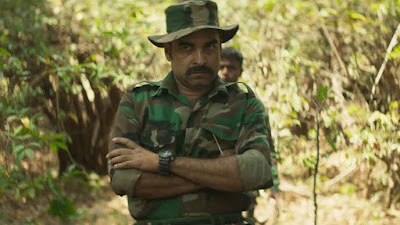 The director has illustrated the truth with much ardour, albeit with a restraint that only veteran filmmakers showcase. The starkness of the plot, the realism is something that Masurkar should be lauded for. Absolutely riveting throughout, it's not for nothing that this effort is being applauded. As my heart lets out a silent cry of joy for the entire team of Newton, I can only wish and pray that this director's edge is never smudged. May he keep churning out such brilliance. For God knows, we need them. But I do not want to deal with the politics in the film. The critics have done ample of that. I'll focus on human portraiture in the story. It was a rare study of the ideals constructing personalities. These beliefs are nurtured under certain circumstances, but events influence change. The film is a beautiful study of this balance of virtues and ideals and how they slowly transform with time and tide. 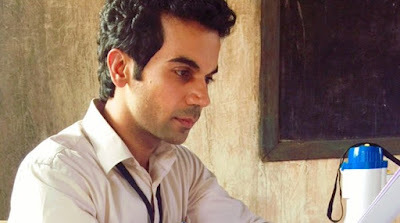 Newton Kumar (Rajkummar Rao) takes immense pride in his honesty. Ridiculed on several occasions for his passion for integrity, Kumar is not the one to budge from his uprightness. No matter what happens he will never follow an untrue path, no matter how impractical that is. In a country crippled with corruption, this kind of rectitude appears nonsensical at times. Especially when it doesn't get you anywhere. There comes a juncture when you gauge the despondency in Kumar. He is trying to do his duty correctly but circumstances will not let him. He is constantly fighting the adversaries and the authorities because he just wants to do his job, but the situation doesn't allow him. His exasperation seeps out of his very pore. The dishonest world comes between him and his principles but he will not falter. He is like the strict martinet who will admonish everyone around to stay clean but he will not bend his rules to get work done. Perhaps it is his innocence that takes him through. Perhaps he is yet to realise the lofty wisdom is best kept in the books. When it comes down to brass stacks, you need to get cleverer than that. If you have to rectify the system, armtwist it by using their own rules. You cannot change things in one day. But Newton is in a hurry. A righteous man, it's sad that Newtons like these don't even get a chance in this country of ours. That's a lot of great ideals wasted. was a wee bit more), an army officer who has been perfectly seasoned with experience. He has seen the world and its follies and hence knows better than flaunting duty and deliverables in the face of adversity. It's not that he is dishonest, but his actions are conditioned by what he has faced over the years. He knows that Newton is right, but he also knows that one Newton a day cannot keep the devil away. That is what tires him out. His sarcasm and wit is sharpened by the noxious claws of politics. He knows that the system is riddled with double-dealing, duplicity and deceit. That one bold move by him will jeopardise the lives of many. So instead of brandishing bravura, he just goes with the flow. This is a man hardened by disillusionment. When you see him accosting Newton, you can sense that he knows the young fellow is right. But he continuously impedes Newton's climb because he is aware that one honest man is not enough to alter the discrepancies. 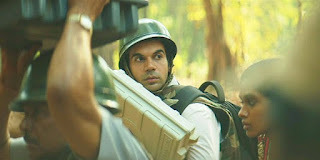 Singh's ideals might have been in place as a young soldier, but time and situations have hardened him to be a criminal cop. He out to tell all to give up and stop trying. He's frustrated and goes on without much drive. So Atma Singh is also just doing his duty knowing full well that the dance of democracy isn't making him put his best foot forward. The third peg in this wheel of ideals is Malko Netam (Anjali Patil is today's answer to the legendary Smita Patil), an adivasi woman who braved the hardships to emerge stronger and practical. She has seen the worst of times and hence is a seasoned player already. But that has not dampened her urge to do things correctly. She is pragmatic and smart and wants to do her bit for society by staying in the system. Her one liners reflect her disenchantment with the government but as a young teacher she wants to continue doing her bit for the children she is in charge of. She knows that nothing will be done to better the scenario so why lose sleep over it. But if she sees something amiss, she doesn't waste a second throwing a hint to salvage the situation. Malko is honest as well. But her best face is her practical approach to life. is no pontification, no judgement. If Newton undergoes a change in temperament towards the end, it is not laced with a sombre air. There is no grating sermon over here. The narrative flows like the brook, allowing the audience enough scope to delve into each character and understand their whims and idiosyncracies. We chuckle but only after raising the right brow. That is why Newton for me is a thrilling saga of human behaviour and responses, a trait that rises above its satirical yet scathing commentary on the poor state of this country.